Want to get tons of laughs this Halloween? Well, nothing is really more hysterical than the era of Disco. Even more funny than the music was the style and the try-hards out on the dance floor trying to show off their ‘coolest’ moves. 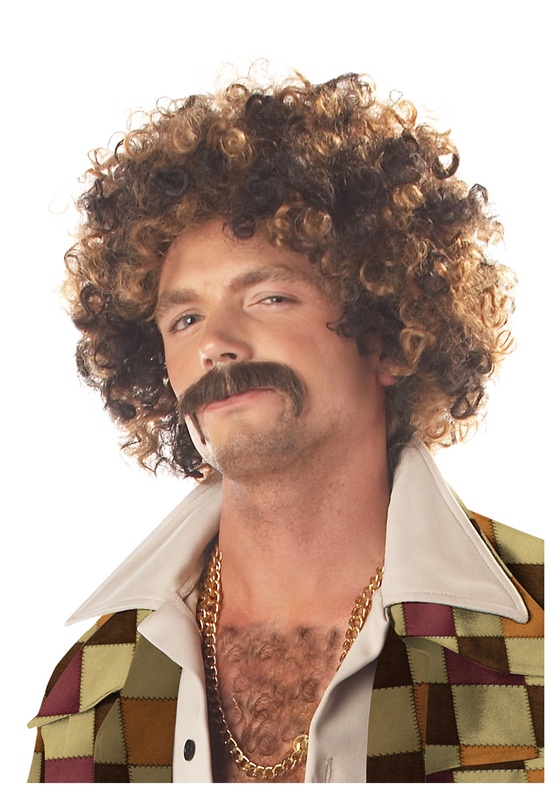 You can be a hilarious reminder of this music era when you add this Disco Dirt Bag Wig and Mustache to your 70’s costume. Make everybody uncomfortable with your offbeat and rather suggestive dance moves. Then just brush off their stares and scowls by telling yourself they’re all jealous of your smooth moves. You need to make sure that everyone knows you have a bigger case of Disco Fever than anyone else by hogging the entire dance floor. Your moves will be so out-of-sight that the whole party will want to watch anyways. Become the biggest Disco Dirt Bag you can be this Halloween with this Wig and Mustache combo!